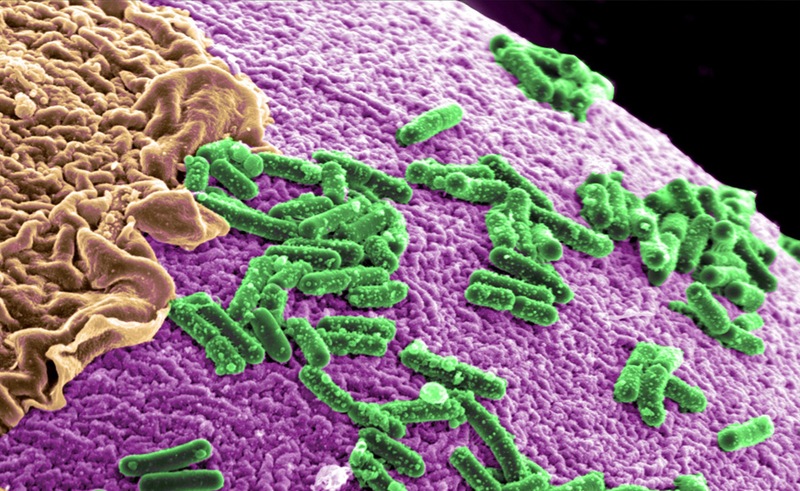 You might be surprised to learn that your body is home to tens of trillions of microorganisms. In fact, your body contains more microbes than it does human cells. While that might sound a bit worrisome, these tiny, single-celled organisms are extremely important for human health. For example, the microbes that live in the gut help with digestion, breaking down foods that the stomach and small intestine cannot digest on their own. The community of microbes that lives in the gut, called the gut microbiota, is unique to each person, and can change dramatically based on changes in diet, the use of antibiotic medications, and numerous other factors. However, gut microbes are involved in much more than digestion – gut microbes influence social and emotional behaviors, and disruptions in gastrointestinal function have been linked to Autism Spectrum Disorders, depression, and anxiety. Researchers believe that the gut microbiota may be a critical link between the gastrointestinal tract and the brain and that changes in the microbiota could therefore influence brain development and behavior. It is believed that the brain can influence the gut microbiota, as well. Dr. Jeff Alberts, Dr. Chris Harshaw and Dr. Cara Wellman, members of IU’s Department of Psychological and Brain Sciences, along with Dr. Greg Demas from the Department of Biology, recently received funding from the National Institutes of Health to explore ways in which the gut microbiota could shape early development of the brain and behavior. They will use antibiotics to manipulate the gut microbiota in mice and observe how their offspring are affected. Specifically, they will measure changes in social behavior and responses to stress among the offspring. As these behaviors differ between males and females, they will also test whether alterations in the gut microbiota impact males and females differently. If IU’s researchers do find evidence that gut microbiota shape sociality and anxious behaviors in mice, it will be a strong incentive to better understand the role of gut microbes in human development. For example, more research is needed to understand how environmental factors influence the gut, and how gut microbiota signal changes in the brain. This new research area could permanently change our understanding of the gut microbiome, and reshape the factors that we believe are critical for healthy development. Scientists at Pacific Northwest National Laboratory are developing a model of the microbial environment inside the human gut. This model is composed of three-dimensional human intestinal cells cultured with specific gut bacteria. Changes in certain bacterial populations within the gut have been attributed to colon cancer, obesity, type 2 diabetes, and neurological diseases such as Alzheimer’s and Huntington’s diseases. The three-dimensional model provides an approach to study how changes in bacteria affect gut health and overall human health. Research was funded by the U.S. Department of Health and Human Services and PNNL’s Laboratory Directed Research and Development Initiative in Chemical Imaging. Team Members from PNNL: Janine Hutchison, Alice Dohnalkova, Becky Hess, Helen Kreuzer and Timothy Straub. Image was colorized by Chad Marrington. Courtesy of PNNL. Cropped from original.